A very important reason for attending regular dental appointments is for your dentist to provide mouth cancer screening. There are approximately 6,000 new cases of mouth cancer in the UK every year and of those, 1,800 will die from it. Your dentist will examine the soft tissues of your mouth (the lips, tongue, inside the cheeks and throat) looking for anything unusual. He or she will also take your medical history and assess your individual mouth cancer risk, and will offer advice whenever risks are high. The main risk factors for mouth cancer include smoking, alcohol consumption and the Human Papiloma Virus (HPV), which is also known for its role in cervical cancer. In the early stages, mouth cancer is often painless, and the physical signs may not be obvious. Red and/or white discoloration of the soft tissues of the mouth. Any soreness which does not heal within 14 days. Hoarseness which lasts for a prolonged period of time. A sensation that something is stuck in your throat. Numbness in the oral region. Difficulty in moving the jaw or tongue. A sore under a denture that, even after denture adjustment, still does not heal. A lump or thickening which develops in the mouth or on the neck. When found early, the mouth cancer five-year survival rate is good, at approximately 83%. However when found late, unfortunately the mouth cancer five-year survival rate is poor at approximately 32%. Clearly, finding oral cancer in its early stages is the key. 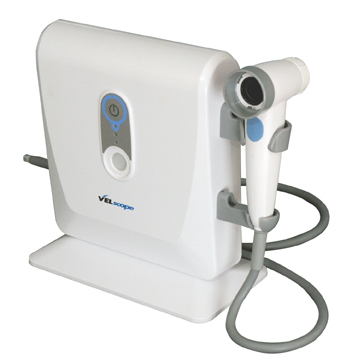 At Zebon Copse Dental we use the VELscope for mouth cancer screening. Its blue light stimulates the natural fluorescence in the soft tissues allowing dental professionals to see disease sometimes not visible to the naked eye and discover disease at its most curable stage. 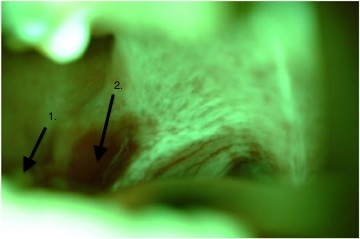 Typically, healthy tissue appears as a bright apple-green glow while suspicious regions are identified by a loss of fluorescence , which appear dark. Our aim is to always teach in the importance of prevention rather than cure. Sometimes, however, treatment is necessary and we will be more than happy to advise you of, and deal with, any problems which may arise. Preventative dentistry is available through our routine oral reviews and hygienist care. We will discuss, agree and develop an oral care plan tailored to your lifestyle to help your smile stay happy! Oxygenate your teeth to add that extra sparkle and brighten your smile. At the Zebon Copse Dental Practice, we use an approved Home Whitening tray system fully explained to you from the outset and offered with full support.